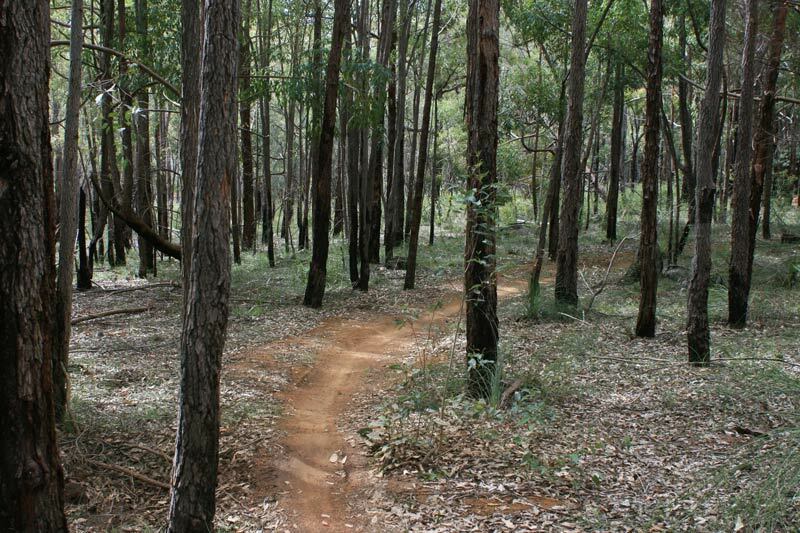 The Kalamunda circuit area combines a range of different trails so you’ll never grow bored, 1 year later and we’ve only covered a quarter of the trails and there’s 40km of them. Cross country, technical, jumps and downhill. Plus it’s all located in bushland where you may spot a Kangaroo. 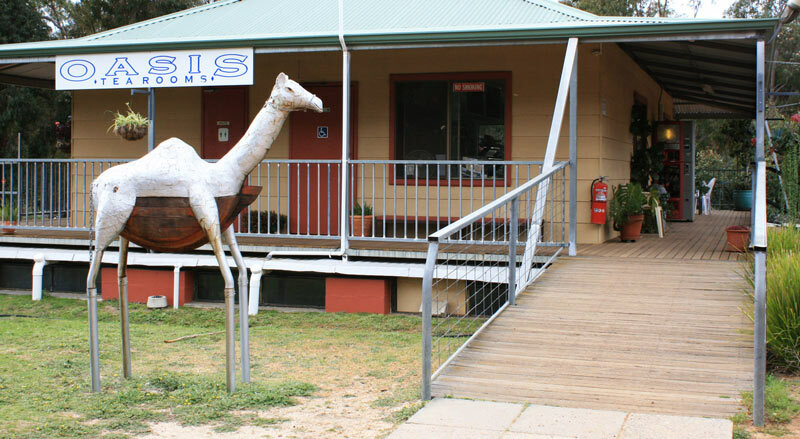 And afterwards finish your ride with a refreshment from the Camel Farm Cafe. 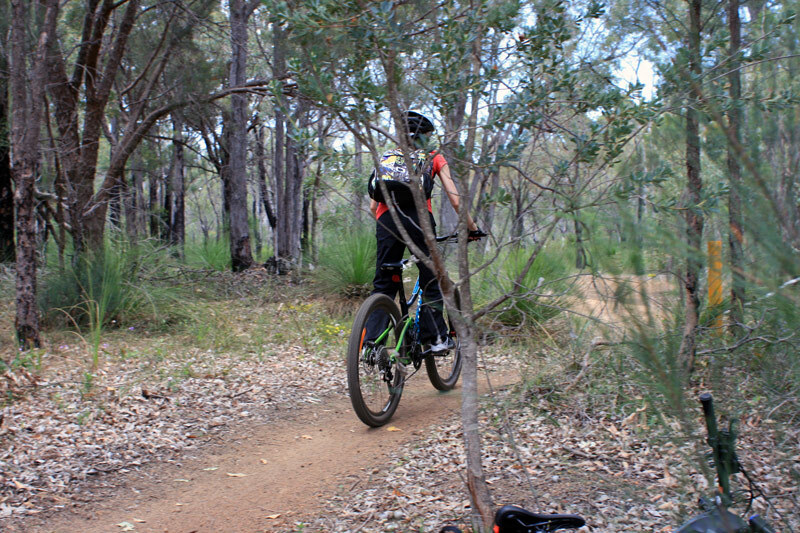 I have to admit the first time I rolled onto the trails at Kalamunda I was a little nervous to be doing something totally new. I was also truthfully physically unprepared and I also fell off the bike because I wasn’t used to the off road conditions and applied the brakes a little too hard on the pea gravel section. One mtb rider was kind enough to give me advice on the gears to be using when climbing because I was doing it all wrong. What a champ. A little practice and coaching, mountain biking becomes fun. I love the challenge and escape that mountain biking presents. Mountain biking rocks! I’ve put together a trail plan for a first time visit, an easy ride with a nice flowing down hill. Rock and Roll Mountain Biking offer skill clinics which is really helpful if you do not have a mountain biker in the group. If you are not a cyclist, not familiar with the bush and there is no mountain biker in the group, I would definitely recommend joining an introduction to mountain biking clinic. You’ll have a way better time, trust me! 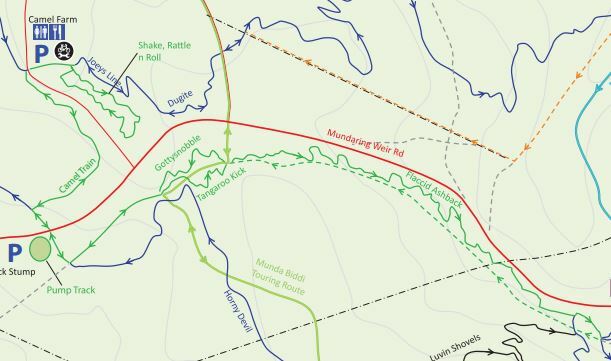 The trail plan is this – Camel Farm to Tangaroo Kick to Flaccid Ashback to Gottysnoble and back. 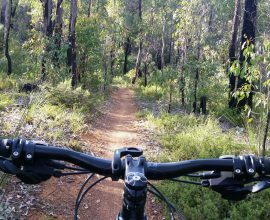 There are a couple of places to commence the ride, the first time at Kalamunda we parked at the Kalamunda Camel Farm – a fantastic tour operator that encourages mountain bikers in the area. There are toilets and a kiosk for drinks and snacks. Coffee is good. Why not go for a camel ride afterwards? I think they even offer overnight treks which would be unique way of seeing the bush. Please be sure to leave some money in the box if parking at the camel grounds. If I use the toilets I often drop off some change as a thank you. The trails are colour coded to the level of difficulty. Green = easy. Blue = intermediate. Black = difficult. Trails are marked really well, generally speaking stay on them and only divert if the arrow indicates. 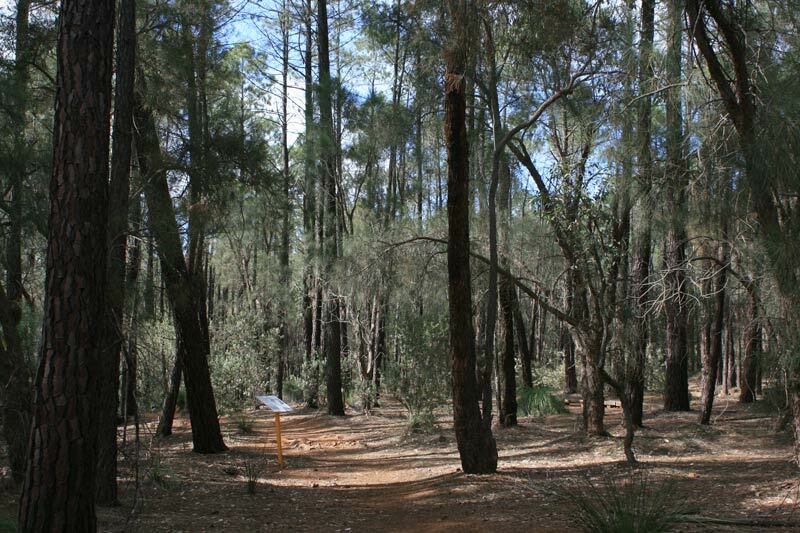 The Munda Biddi Trail is identifiable by a yellow marker with a blue symbol, you may come across sections along the way. Sometimes it can be a short cut to other sections but it’s not always the easiest option. Start off with a couple of loops of the Shake, Rattle n Roll skills loop (800m) for warm up and practice. There are informative sign posts to DIY skills. Take the Camel Train Link (0.9km), it’s two way. Cross Mundaring Weir Road to Black Stump car park, be careful of road cyclists and cars passing. 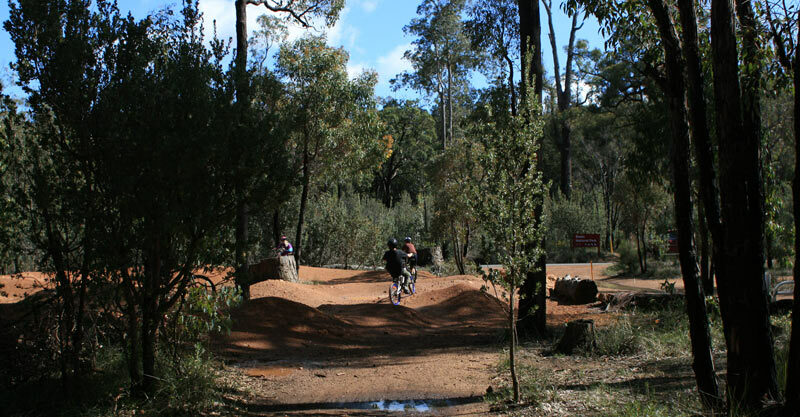 There is a Pump Track next to Black stump car park – have a roll around the small track. The idea is to use your arms and weight to pump the bike over the mounds for speed, so no pedaling. There aren’t any of these mounds on the trails mentioned in this post but rather on the blue and black trails. There is a big map on a board at this site too, if you need to reference directions. If you want to shorten the ride, park at this car park and start the ride from black stump. 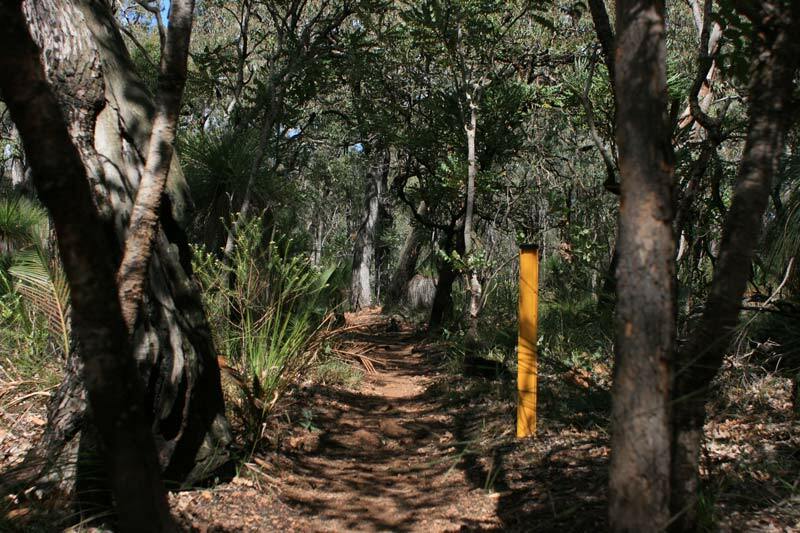 Follow the green trail to Tangaroo Kick (0.4km), this is probably the steepest climb for the day but a short one, so hang in there until you reach the fire break. The singletrack is narrow and meanders through the forest. When you reach the firebreak, rest for a couple of minutes because the fun is about to begin. Enjoy the down hill of Flaccid Ashback (2.3km), it’s pleasant, longish and flowing. Some sections are narrow, mind the trees! Go at your own pace, if it’s slow that is more than okay. The bike wheels will still keep rolling. Avoid abruptly applying the breaks, the rear of the bike may slide out and interrupt your balance. The scenery is really beautiful and most of the time you’ll be riding under the canopy of trees. Take the fire break track that runs alongside Flaccid Ashback back to the top. You will return to the Flaccid Ashback entry again, on the right. If you have more energy, go down again. Located next to the Flaccid Ashback entry is a trail called, Gottysknoble. When you are ready to return, take this back. 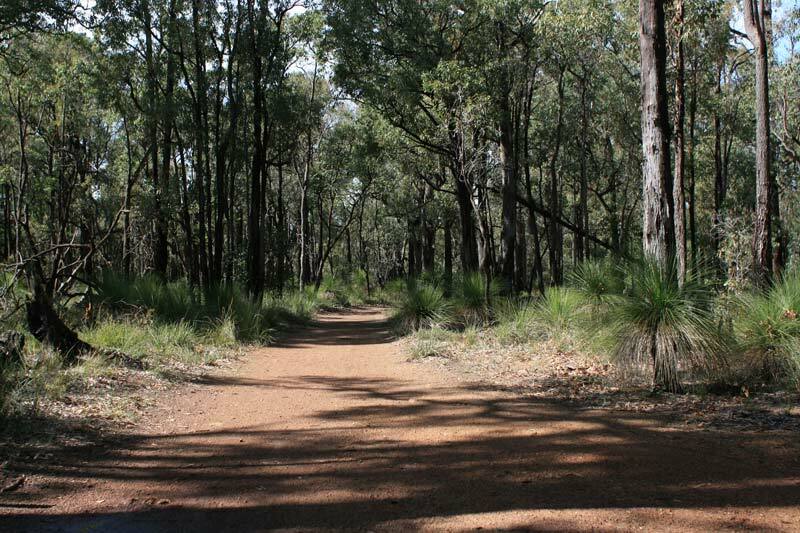 Or you can continue to take the firebreak which then turns into the Munda Biddi touring route. We like Gottysknoble. Gottysnobble (0.5km) is a short easy downhill section for the return back to Camel Farm. A lot of smooth hard ground. The path from here is the same way that you came. 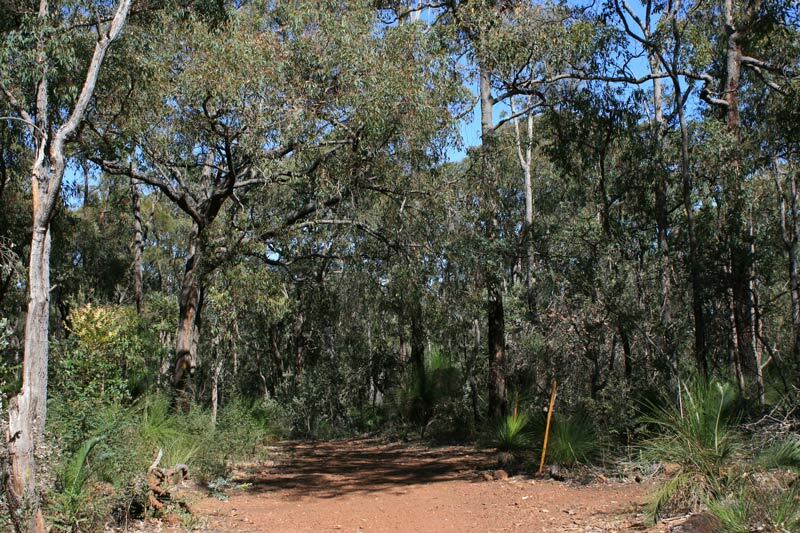 Once you have crossed Mundaring Weir Road, you can take the Camel Link (same path) or for a challenge, the blue trail Slippery When Dry (2.7km) on the way back. There are a few jumps (a bypass path around the jump too), and it’s a mix of incline and decline. True to the name, it does slide when dry. If you are doing this for the first time as an adult. You are awesome! Respect the trails which also means do not litter, keep rubbish with you for disposal later. The mtb experience is as much mentally challenging as it is physically. I find it calming because I think about nothing else except for navigating the terrain in front of me. 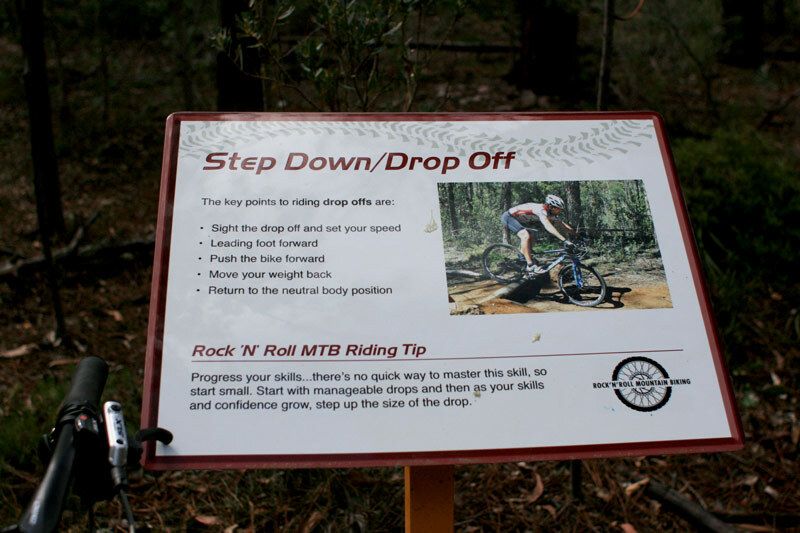 Kalamunda Mountain Biking Collective do an amazing job at encouraging a community atmosphere on the trails and not to mention helping with the maintenance of the trails.